Dear all the band are busy rehearsing in Canterbury for the Autumn Tour which starts on Friday 7th October at The Assembly in Leamington Spa. Tickets are still available. Please get there early to catch the support band – Solstice who will be on stage at 7.00 – not to be missed! Apart from the Concert Live release I hope to have some merchandise to sell at the gigs. This will include a specially designed T-shirt, CDs, DVDs, mugs and stickers. The gig in Edinburgh is on Saturday the 15th October and we look forward to seeing as many of you as possible to their only gig in Scotland this year and the first in Scotland for about 10 years! It promises to be a great night. In addition the new issue of “Classic Rock” which is due on the 12th October includes a Cover mount DVD featuring the artists who performed at the Legends concerts last December and this Spring. 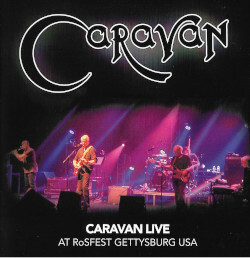 Caravan are featured on two songs plus a snippit of an interview with Pye and Geoffrey. Other artists on this DVD include BJH, VDGG, Roy Harper, The Zombies, and Bill Nelson. I look forward to seeing you at one of the Gigs. As always we are grateful for any photos and reviews of the concerts. Thanks for a great performance at Shepherds Bush last night guys and really good to see a near-full house giving as good as they got. Great performance at the O2Empire last night – really enjoyed it and so did my Son Nathan! 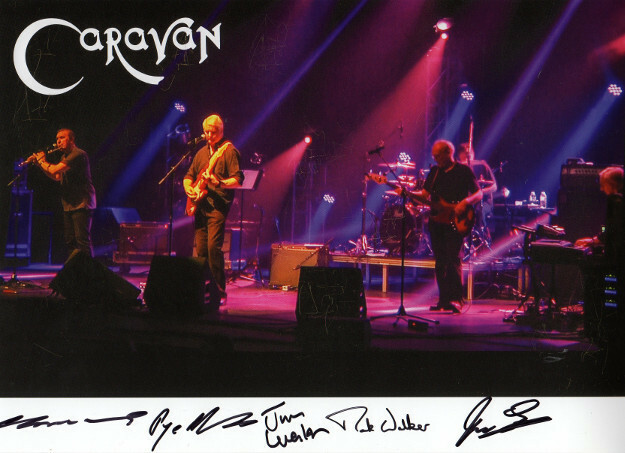 Full of energy – you guys prog rocked! Need a gig in the West Country Bristol. Saw you there in 1978. When ??? Great gig at Holmfirth and how brill is Mark Walker?Excellent brought a new dimension to the band.Although he did try to palm me off with a jock fiver (must have been one of Pye’s)he’s forgiven.Top bloke and drummer.